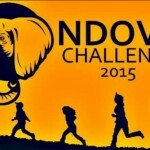 On October 10, 2015 – help film the story of India In A Day! 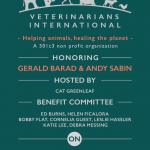 You are invited to attend the official launch reception of Veterinarians International – helping animals, healing the planet. 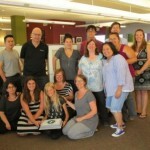 Honoring Gerald Barad and Andy Sabin, hosted by Cat Greenleaf. On November 14th in Taita Taveta, Kenya, Taita Taveta Youth Network Group in association with schools and institutions and youth groups shall come together and conduct a Walk whose goal shall be the sensitization and awareness of local community on the need for wildlife and environment conservation. 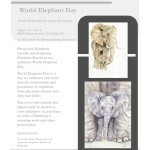 Celebrate World Elephant Day with a free novel for wildlife in support of Wwf. 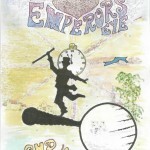 It’s a haunting tale of love and betrayal where Mother Nature is threatened by a cruel Grim Dread. Only magic can help her now. 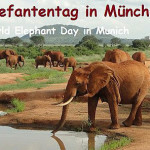 Download the World Elephant Day 2015 Press Release here. It’s the 4th annual World Elephant Day and we’re overwrought. 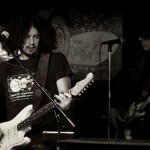 Is there anything we can say this year that we haven’t said before? 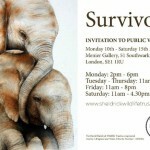 The issues plaguing elephants are still with us. But we also have hope. 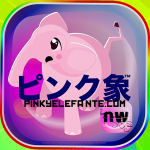 Our grassroots campaign, ‘Action for Nosey Now’ was founded on our concern for the health and well being of an African Elephant named Nosey. 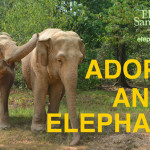 I am personally raising funds for The Elephants living at the Sanctuary in Tenessee. 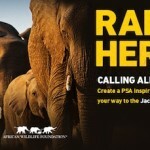 TAKE ACTION: Adopt an Elephant! 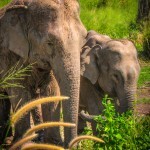 World Elephant Day is the perfect time to support organizations that are building natural habitat sanctuaries and advocating for better treatment of captive elephants. 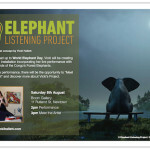 This is an acoustic evening with sevenfields recordings’ artists to support and create further awareness for World Elephant Day (August 12th) and all elephant conservationist efforts. 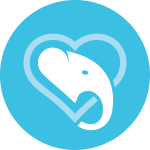 Calling all NYC kids (and their parents) to participate in The Nature Conservancy’s #Elegram Project at Whole Foods on Tuesday, August 11. 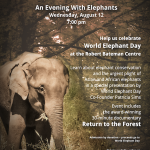 Help us celebrate World Elephant Day​ at the Robert Bateman Centre! Can you help at our station collections across the UK? 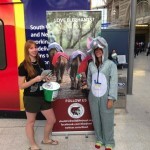 We’ll be raising awareness and collecting at London Waterloo, London Victoria and London Liverpool Street on World Elephant Day! from 7.30am-7pm. 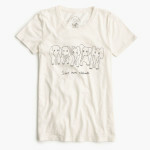 Calling All Elephant Lovers! 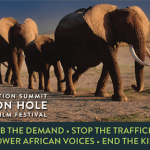 Create a PSA inspiring others to take action and you could be on your way to the Jackson Hole Elephant Summit this September! 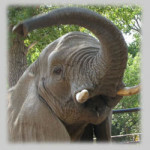 World Elephant Day on August 12th presents a special opportunity to advocate for Lucy! 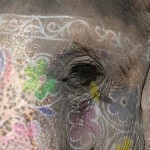 Celebrate World Elephant Day the Fair Trade Way! 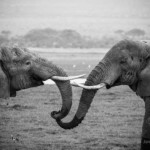 Connect with fellow elephant lovers and learn more about the crisis elephants face, in honor of World Elephant Day! 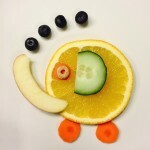 This August 12, World Elephant Day, join us for a happy hour at the Science Club in Washington, DC. 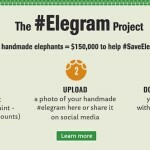 Have fun with friends and make a difference this World Elephant Day by hosting an #Elegram event! 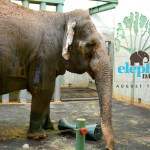 On August 8th, as a lead up to World Elephant Day, I am creating a Sound Installation using the Forest Elephant sounds recorded by researchers from Cornell University’s “Elephant Listening Project“. Curb the Demand. Stop the Trafficking. Empower African Voices. End the Killing.